Protect your paintwork with our clear paint protection film and keep it looking in showroom condition increasing its retail and resale value. For 12 years PAINTGUARD have been supplying and installing the very best in paint protection films from 3M Xpel SunTek and Premiumshield to vehicles whether it’s a car van or motorbike. Located in HAMPSHIRE and serving the people of HAMPSHIRE – SURREY – WEST SUSSEX – EAST SUSSEX and the WEST COUNTRY. Over the last 12 years there have been some changes. 1/ QUALITY OF FILM… the films have become very clear, self healing and easy to look after. 2/ FILM WIDTHS… In the early days the clear paint protection film came in only one width this was 24″ so the only option available for bonnet protection was the first third nowadays we hold stock of 24″ 30″ 40″ 48″ and 60″. 3/ CHOICE…When we first started there was only one choice of film, ‘Ventureshield’ which was later to become ‘3M Ventureshield’. But due to the incredible Clarity/Clearness and clean ability of the later generations of films available today its way down the list of preferred protections now. After on-going testing three/four different makes of protection film are offered to our clients. What you can be 100% sure of here at Paintguard is regardless of cost you will receive only the best film available at time of order. We currently stock Premiumshield 3M Xpel SunTek. SIR STIRLING MOSS OBE – When you receive a recommendation to go and work with this racing legend it was such an honour and a great endorsement of our continued great workmanship here at Paintguard. 2017 MERCEDES AMG GTO full car coverage and we had to catch a plane over to Jersey to protect this one. 2017 FORD MUSTANG this solid black American icon of the road now wearing paintguard paint protection film. 2017 NEW BMW K1600GT now has new colours and slight changes to front fairing and fuel tank, now wearing paintguard paint protection film. See our facebook page for pictures. 2017 NEW BMW S1000RR we were invited to go and install paintguard paint protection film on two of these bikes at the dealership before there launch later this month. 2017 HONDA NSX we were given the responsibility to fit paintguard paint protection film to this cars paintwork before it went to Jeremy Clarkson for him to drive and review. 2018 DUCATI PANIGALE V4 The new MotoGP engine bike is now launched and we’ve already protected a couple. 2018 LOTUS 3 Eleven whole body protection in Matte paint protection film. 2018 NEW LOTUS EXIGE 430 now with our protective film installed. PREMIUMSHIELD 2016 Have just launched a new film that we’ve taken in to stock, the names ‘never Scratch’ paint protection film and really is a great film. XPEL have updated there flag ship film and now has a new thicker liner. SUNTEK have a new film that’s been released in the states and should be available here in a couple of months. The Clearest and Strongest Protection Film on the market. Contact us today for further details. 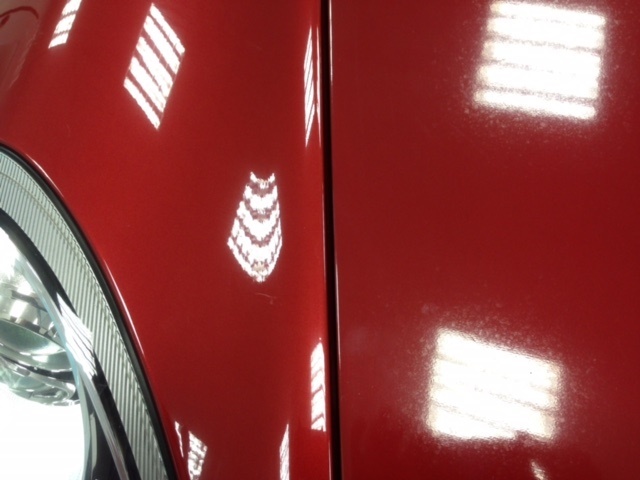 Our latest paint protection film on the left against the old generation on the right. Whether its paint guard anti stone chip film to Bumper, Bonnet, Mirrors, Lights, Rear Arches or any other vehicle panel 3m ventureshield has it covered. Anti Stone Chip Protection Film by Paintguard, based in the UK. Our Car & Bike Paint protection film Product will keep you vehicles paint in great condition without being to noticeable.